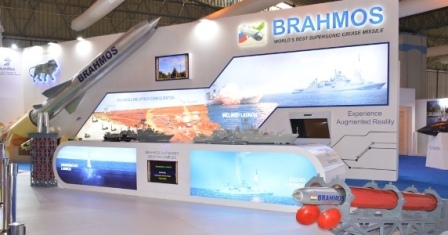 BrahMos Aerospace, the producer of BRAHMOS supersonic cruise missile system, is exhibiting the air, land and sea variants of the world-class weapon at the biennial aero show. 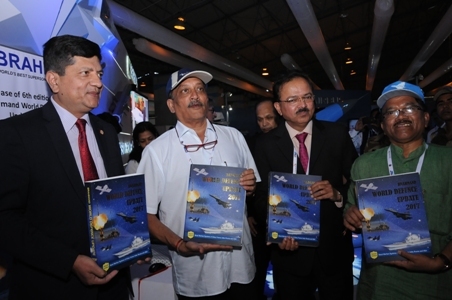 Defence Minister releases "Brahmand World Defence Update 2017"
Honourable Defence Minister of India Shri Manohar Parrikar on 14th of February, 2017 released the sixth edition of global military yearbook “Brahmand World Defence Update 2017” at the BrahMos Aerospace pavilion on the inaugural day of Aero India 2017 being held in Bengaluru. In an impressive display of its missile making capabilities, BrahMos Aerospace, the producer of BRAHMOS supersonic cruise missile system, is exhibiting the air, land and sea variants of the world-class weapon at Aero India 2017 in Bengaluru. 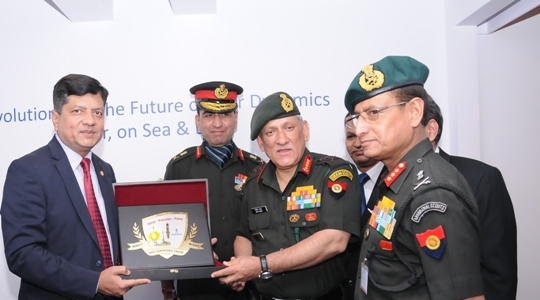 High-level military officials from various countries visited the BrahMos Aerospace pavilion on the second day of Aero India 2017 being held at Bengaluru. 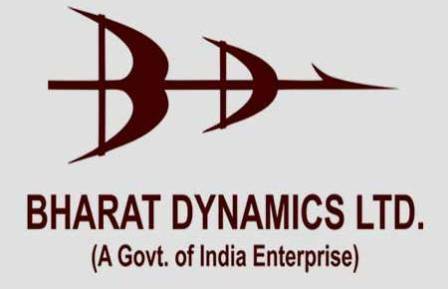 Thales and defence PSU Bharat Dynamics Ltd (BDL) on Tuesday signed an agreement to assess opportunities for transfer of technology of the flagship STARStreak missile capability to India. 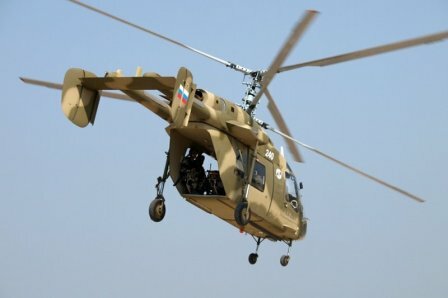 Hindustan Aeronautics Limited and Russian defence firms have finalised the Joint Venture agreement for collaboration in the production of light weight multi-role 'Kamov 226T' helicopters in India, a top Russian defence executive has said. As the indigenously developed Airborne Early Warning and Control System (AEW&CS) 'Netra' was inducted into the Air Force on Tuesday, a group of women scientists were smiling from ear to ear as their hard work of more than a decade was finally seeing the light of the day. 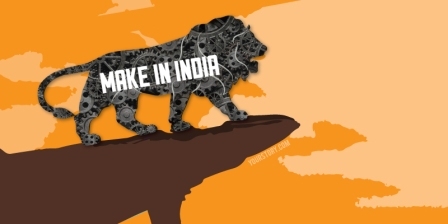 Defence Minister Manohar Parrikar on Tuesday said it was not his concern that some companies like Boeing and Lockheed Martin could find themselves torn between the slogans of "America First" of US President Donald Trump and "Make in India" of Prime Minister Narendra Modi. Hindustan Aeronautics Limited's full scale mock-up of Indian Multi-Role Helicopter (IMRH) was unveiled by Defence Minister Manohar Parrikar at the Aero India air show here on Tuesday. With an RSS affiliate-body vehemently opposing the NDA government's policy on Foreign Direct Investment, Defence Minister Manohar Parrikar said there would be no damage to the national interest and each such case was being viewed rationally. 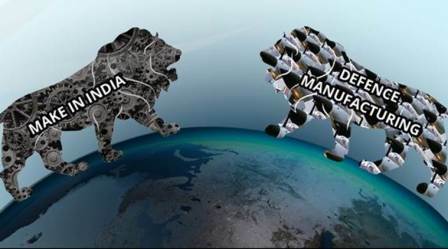 He said FDI is not allowed in those sectors where there is a direct competition to the Indian industry. 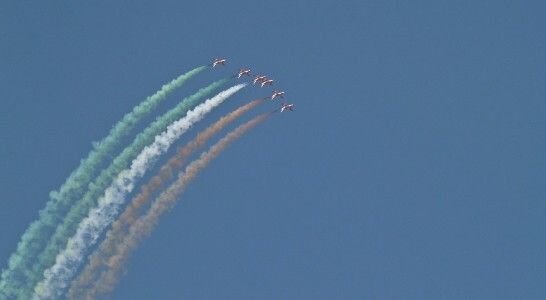 A breathtaking display of thrilling manoeuvres by military aircraft and aerobatic teams left the audience spell-bound at the 11th edition of Aero India air show that started here on Tuesday. 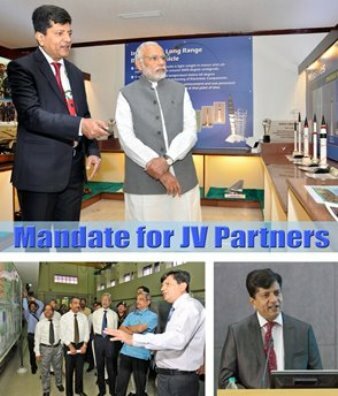 Top American aerospace and defence companies have pledged to strengthen the 'Make in India campaign' of Prime Minister Narendra Modi and foster "blossoming" of the India-US defence collaboration. 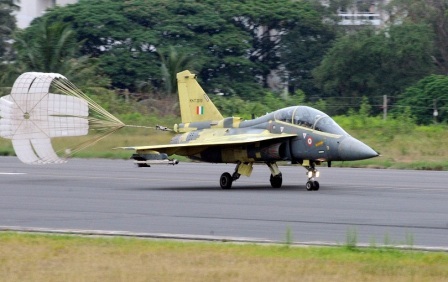 Defence and security company Saab has offered a fighter sensor package for the homegrown Tejas LCA Mk1A fighter aircraft. 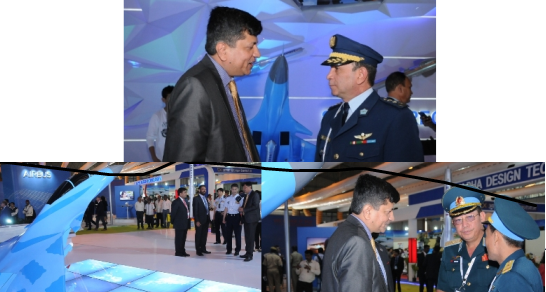 Chairman, Chiefs of Staff Committee and Chief of Naval Staff Admiral Sunil Lanba and Indian Air Force Chief Air Chief Marshal B S Dhanoa visited the BrahMos Aerospace pavilion on the second day of Aero India 2017 being held at Bengaluru. 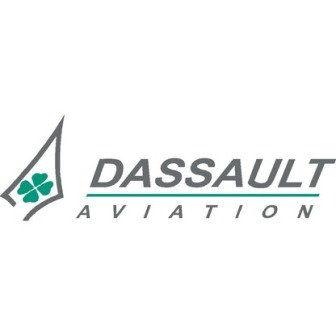 After bagging the Euro 8.78 billion deal for 36 Rafale fighters to strengthen the IAF fleet, French aircraft manufacturer Dassault Aviation is now eyeing the naval contract of 57 aircraft that is up for grabs. 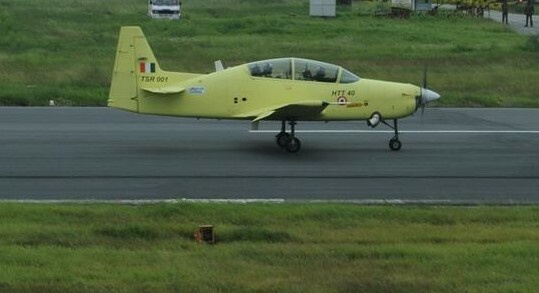 India's indigenous basic trainer aircraft, Hindustan Turboprop Trainer-40 (HTT-40), is likely to be certified in 2018, state-run Hindustan Aeronautics Ltd has said. American defence major Lockheed Martin has said discussions are currently taking place between the US and Indian governments on the company's plans to set up manufacturing base for F-16 fighter jets in India. 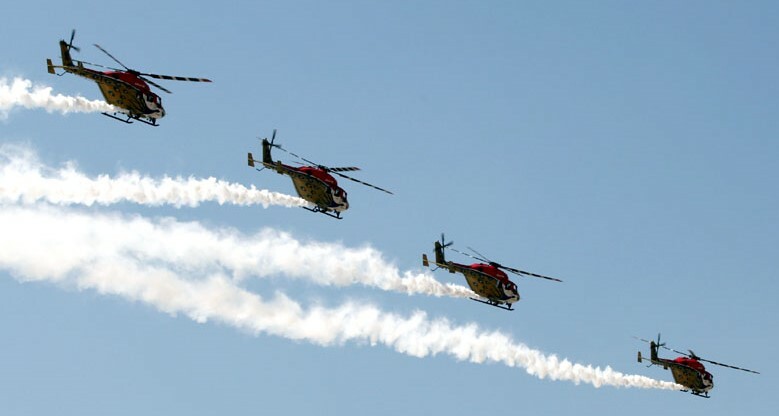 The biennial Aero India show came to a close on Saturday with the event turning into a carnival during its last two days as lakhs of people thronged the Air Force Station at Yelahanka in Bengaluru to witness the aerial feast. BrahMos is working dedicatedly for the indigenisation of BRAHMOS missile development in India, capacity building for larger production, meeting the production orders ahead of schedule to ensure delivery of missiles on time and to ensure different versions of BRAHMOS missiles to meet the aspirations and requirements of the defence force including Army, Navy & Air Force. 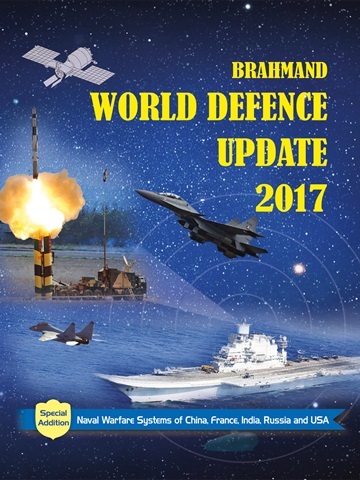 Brahmand World Defence Update 2017 provides incisive, comprehensive and up-to-date facts, figures and data on the armed forces of 113 countries worldwide with the objective to give a comprehensive assessment of the present-day global military order.